Danang has been growing to become attractive destination for investment due to favourable conditions offered by the city administration to bring foreign investor investing into hi-tech park. 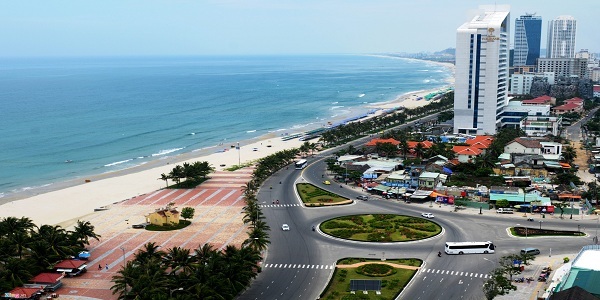 Danang is one of the five large cities of Vietnam and is the key economic hub of Central Vietnam. The location of Danang is one of the important gateway to the sea of the Central Highlands and Laos, Cambodia and Thailand to the Northeast Asia countries through the East-West Economic Corridor, and located in one of the international sea routes and air routes. Danang has a geographic location that is particularly conducive to rapid and sustainable development. Danang Hi-tech Park was established in accordance with Decision No.1979/QD-TTg dated October 28th2010, after two Hi-tech Parks in Hanoi and Ho Chi Minh City, with the hope of developing the science and technology of Da Nang, the Central Region and Central Highlands of Vietnam. Covering an area of 1,129.76 hectares and the infrastructure is gradually being completed with production areas, research and development, training and nursery enterprises, administrative management, housing, logistics, logistics and high- tech services. Da Nang Hi-tech Park is expected to be the attractive place where domestic and foreign investors favourable infrastructure and incentives. Danang Hi-tech Park shall give priority to the setting up of company in high-tech areas i.e. bio-technology for agriculture, fisheries and health; microelectronics, mechatronics and optoelectronics, automation and precision engineering; information technology, communication, informatics software; petrochemical service technology. Danang is a priority city for the development of environmentally friendly industries and services, therefore investors will not be allowed to trade in industries that threaten to pollute the environment and affect national security or industries using obsolete technologies. In addition to the infrastructure development, Danang also offers investment incentives to attract domestic and foreign investors to invest in Danang Hi-tech Park such as Decision No. 36/2013/QD-UBND and most recently Decree No. 04/2018/ND-CP will take effect from February. Decree No. 04/2018/ND-CP has given great investment incentives to investors when investing in Danang Hi-tech park. Having policies to attract domestic investment and FDI, whereby investors invest in Danang Hi-tech Park will be exempted from all or part of land rent and site clearance in some specific cases. In addition, when investing in Danang Hi-tech Park, the enterprises will be entitled to corporate income tax incentives for 15 to 30 years and exemption on corporate income tax for 4 years, and reduction of 50% for 9 years later to enterprise having new investment projects. Goods imported to be fixed assets in Hi-tech Park or machinery and equipment which cannot be produced at domestic will be exempted from import tax. In addition, experts and workers who are foreigners/overseas Vietnamese working in Hi-tech park and their family members may be considered for issuance of multiple entry and exit visas with appropriate time limits for entry purposes in accordance with the laws. The economics of Danang is growing and the special incentives have been offered to attract investment from the city administration. This is the opportunities for investors both domestic and foreigners to invest in Danang.